Even to this day, Kyoto still retains the charm and traditions of the past with many historical monuments, ancient temples and shrines. Kyoto is considered the foremost place to travel in Japan, and if you have only one chance to visit Japan make a pilgrimage to Kyoto. 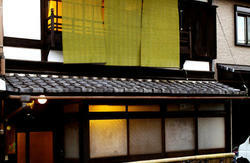 Kyoto, is divided into two districts, the Western area called Arashiyama, and the Eastern area called Higashiyama. 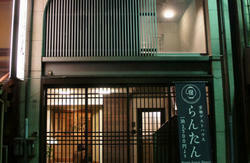 The Ryokan Yachiyo is located in the Higashiyama area and aligned with a connecting lane to the famous Nanzenji temple. In Higashiyama area, there are many attractive places to visit, such as the Heian Jingu Shrine, the Kiyomizudera Temple, the Nanzenji Sanmon Gate, Gion,the Eikando Temple, Murinan Gardens, Kodaiji Temple, Shorenin Temple, Yasakajinja Shrine, Ginkakuji Temple, Tetsugaku no Michi (Philosophy Path), Chionin Temple, Maruyama Park, and Gion geisha district. As a Shinise Ryokan, a well established type of Japanese Inn, the Yachiyo Ryokan offers the pleasures and experiences of traditional Kyoto culture and history. The seasonal beauty of the surrounding landscape is breathtaking and the whole experience can be considered as the epitome and the ultimate of travel to Japan. We welcome you with heartfelt hospitality. Dinner and Breakfast should reserve it to prior. Please contact me. Our price does not include breakfast. If you need it,you can order it for an extra 2100yen. Our price does not include dinner. The bicycle is lent free. Let's enjoy sightseeing in Kyoto with the bicycle. iPhone is lent free. Let's enjoy sightseeing in Kyoto with the iPhone. Total traveling time: Approx. 75 min. The JR Haruka limited express takes about 75 minutes and costs 2,980 Yen by non-reserved seat or about 3,490Yen by reserved seat from Kansai Airport to Kyoto station. There are departures every 30 minutes. Total traveling time: Approx. 110 min. Direct buses from Kansai Airport to Kyoto Station take about 110 minutes and cost 2,300 Yen. Shuttle taxi from Kansai Airport to our hotel takes about 120 minutes and cost 3,000 yen. 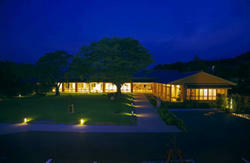 You can come to our hotel directly with this service. A reservation is required for this service.